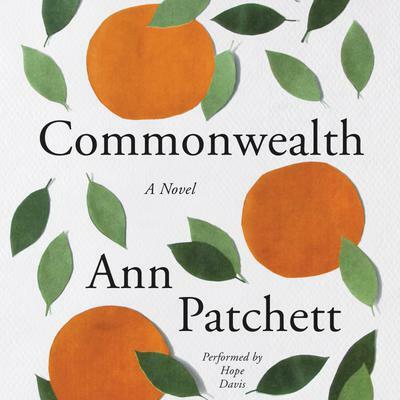 Ann Patchett is the author of seven novels, The Patron Saint of Liars, Taft, The Magician’s Assistant, Bel Canto, Run, State of Wonder, and Commonwealth. She was the editor of Best American Short Stories, 2006, and has written three books of nonfiction–Truth & Beauty, about her friendship with the writer Lucy Grealy, What Now? an expansion of her graduation address at Sarah Lawrence College, and This is the Story of a Happy Marriage, a collection of essays examining the theme of commitment. In November, 2011, she opened Parnassus Books in Nashville, Tennessee, with her business partner Karen Hayes. She has since become a spokesperson for independent booksellers, championing books and bookstores on NPR, The Colbert Report (including the series finale), Oprah's Super Soul Sunday, The Martha Stewart Show, and The CBS Early Show, among many others. Along with James Patterson, she was the honorary chair of World Book Night. In 2012 she was named by Time magazine as one of the "100 Most Influential People in the World". Ann Patchett lives in Nashville with her husband, Karl VanDevender, and their dog, Sparky.